One of my favorite verses from the Bible. What a great reminder! I am sure this is meant for me. I will. love the color combo and beautiful writing. your cards are just so lovely. one of my favourite mantras...exhale. 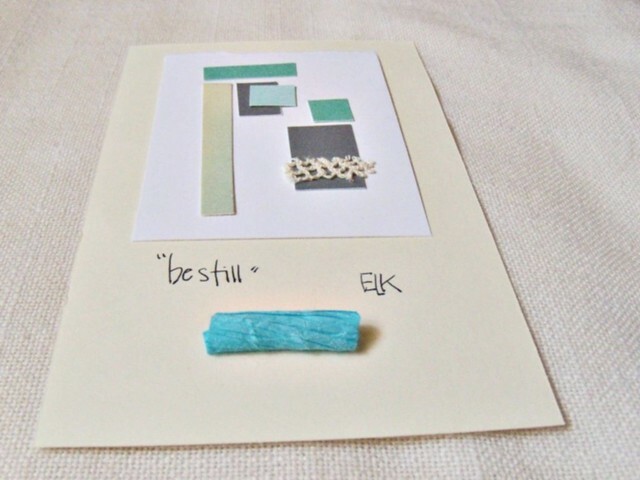 What deliciously calm aqua-jade-turquoise touches! So many lovely breathing spaces in your paper composition. Peace. Love the composition. And - the message...it's so universal. Yes - be still!!! I need to be reminded of that, often. and that being still is good. I love these peaks into your other art.